Once Motorola's flagship phone, the X went through an episode of multiple personality disorder in 2015 (remember the Style, Play and Force?) only to be replaced at the top by the Moto Z last year. Feeling at home in the midrange, the X-series is now in its fourth generation. Meet the Moto X4. 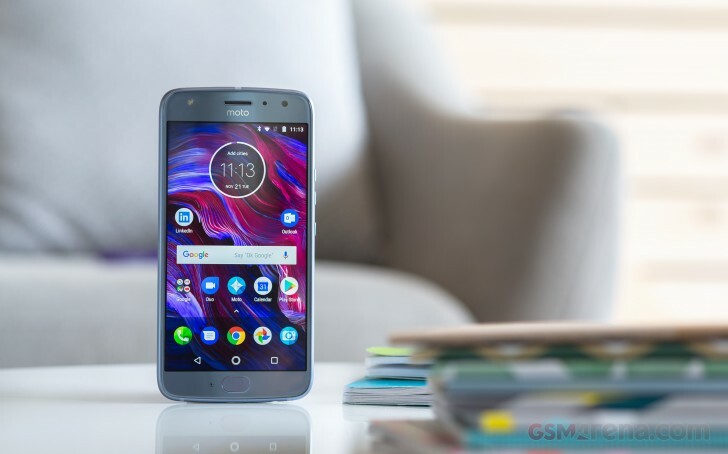 Motorola's mid-tier is pretty crowded and the Moto X4 slots in between the G5S Plus and the Z2 Play - price-wise mostly, because the spec sheets need to be analyzed more closely for the full picture. Suffice to say, the Moto X4 has the best chipset of the bunch. The Snapdragon 630 should give it an edge in graphics, plus it adds other goodies like Wi-Fi ac. The display is smaller on the X4 than those other two, but we can see how the 5.2-inch diagonal will appeal to compact phone lovers. It's an LCD, so if you're into AMOLED, you need to look elsewhere, possibly at the Z2 Play. The X4 comes with a dual camera at its back, a regular/ultra-wide setup a la LG. Only, unlike your G6 or V30, the X4 can do blurred-background portraits. As far as we know, that's the only such combo in existence. Oh, and the primary 12MP cam has dual pixel autofocus, our favorite. One other thing the Moto X4 has going for it is Android One - who doesn't like timely updates? One little caveat, though: the X4 is only available as an Android One device in the US on Google's Project Fi. Oh, well... Motorola's customizations like the MotoDisplay come as standard though, Android One or otherwise. Where's Oreo, we've been asking lately. All too many phones are launching this time of the year still running Nougat. One can only hope then that all X4s will benefit from the close relationship with Google around the Android One program and an update is coming soon. No update is going to add OIS to the camera but then again, the Moto Z2s don't have it either, Play or Force. Why Motorola doesn't like nice things, we wonder. Well, it does, actually, and they are called MotoMods. A speaker, a battery, now even a printer can snap onto the Moto Zs, and while far from affordable, they make for nice add-ons. Only not on the Moto X4, it's missing a Z in its name. Mod or no mods, let's get going - we're starting on the page with a quick look at package contents and design. Display: 5.2" LTPS IPS LCD, 1,920x1,080px resolution, 424ppi. Rear cameras: Main camera: 12MP, 1.4µm pixels, f/2.0 aperture, dual pixel autofocus; dual tone, dual LED flash; 2160p video recording. Secondary camera: 12MP, 1.12µm pixels, f/2.2 aperture; ultra wide-angle (120° FOV). OS/Software: Android 7.1.1 Nougat; Moto experience customizations. Android One version on some markets. Memory: 3GB/4GB of RAM; 32GB/64GB of storage; microSD slot. Battery: 3,000mAh Li-Ion (sealed); 15W TurboPower fast charging (Qualcomm QuickCharge 4 compatible). Connectivity: Single SIM and dual SIM versions, market dependent; Cat. 13/12 LTE (600Mbps/150Mbps), market dependent; USB Type-C (v2.0); Wi-Fi a/b/g/n/ac; GPS, GLONASS, Galileo; NFC; Bluetooth 4.2, simultaneous audio streaming to up to 4 devices, Bluetooth 5 with Oreo update. Misc:Front-mounted fingerprint sensor, FM radio, 3.5mm jack, front-firing single speaker.